1 in 4 minutes on mobile devices is spent on Facebook & Instagram. That is a lot of minutes that you could be using to put your inventory in front of car buyers. What’s more, social media channels have a direct impact on purchasing, with 59% of car shoppers saying they are influenced by Instagram in an auto purchase. When setting out to create your strategy, keep in mind what truly matters for your business - driving more car sales. Facebook and Instagram are more than brand awareness channels and your strategy should go beyond boosting posts and generating likes and shares. The key to success with Facebook and Instagram advertising for auto is to look at the entire automotive buying journey and account for each of the five stages a customer goes through - Awareness, Consideration, Purchase, Retention and Advocacy. Create Facebook campaigns that help you hit your marketing goals across all stages of the buying journey from Awareness to Retention and Advocacy. We show you how in the campaign ideas below. A study by Facebook revealed that 62% of car buyers discovered new vehicles online compared to just 35% who discovered in-dealership. 65% of consumers aged 18-34 discover new cars through the Facebook family of apps. This is a good enough evidence for us that Facebook and Instagram are worthwhile channels for auto demand generation. A fully scaled marketing strategy on Facebook covers all the stages of the funnel but you can prioritise the stages that matter the most to your business. For example, you can start with a campaign aimed at the Consideration stage if your goal is to engage people who are already in market for a car. At the Consideration stage, your mission will often be to capture in-market leads and get them to book a test drive. In a recent study, Facebook found out that 60% of vehicle buyers buy or plan to buy their next car in-dealership, compared to 39% who buy or plan to buy online. While car buyers are still more likely to make a purchase in a dealership rather than online, there are a number of Facebook tools and tactics you can use at the Purchase stage to move leads down the sales funnel. We are going to focus on two different tactics that can help you drive more used car sales one using Facebook Dynamic Ads and one using Facebook Marketplace. Thanks to Facebook Dynamic Ads and Facebook Marketplace advertising your used car stock to local buyers is becoming easier. Dynamic Auto Ads is a great ad format developed with auto retailers at its heart which lets your customers see used car stock in their Facebook feed personalised for their local dealership. With Dynamic Ads, you can put your used car inventory in front of the right audience and give your customers the chance to enquire about specific cars on sale. Add a Lead Ad call to action on your Dynamic Auto Ads to allow customers to enquire about a particular vehicle. Instead of trying to drive vehicle page views, sometimes it pays to give people the option to enquire right away through a Facebook Lead Ad. Retarget your website visitors with ads that show them the exact cars that they have viewed and send them finance offers. You can find detailed instructions on how to set up Dynamic Ads to showcase your products here. Marketplace started as an easy platform for consumers to sell things online but quickly became a valuable tool for auto marketers. At the moment Facebook Marketplace is a hot topic in the auto dealer space with many dealers adding it to their Facebook marketing strategy. We think Facebook Marketplace is a great channel for auto retailers to explore and an inexpensive channel to generate used car leads. We wrote a detailed blog post on how to drive car sales with Facebook Marketplace for auto retailers. In order to get started with Facebook Marketplace, you will need to use the services of a Facebook Marketplace partner to list your inventory. The happy news is that Driftrock is a now beta Facebook Marketplace partner. Get in touch with us to list your car inventory on Marketplace today! Your marketing strategy shouldn’t end when a deal is closed. In a recent study, Facebook found out that 87% of consumers want to engage with auto brands post-purchase. Whether it is maintenance reminders, technical information about their car or model updates and specification upgrades, your customers want to hear from you after they purchase a car. This gives you a great opportunity to reach them with relevant information and send them new offers. Facebook and Instagram are great channels for driving aftersales revenue. Your most powerful weapon at the Retention stage of the buying journey and one of our favourite Facebook features is Custom Audiences. Custom Audiences allows you to reach your own customer list on Facebook & Instagram. For example, you might want to reach customers whose finance plans are ending soon and send them offers. You can also use Custom Audiences to create Lookalike audiences of people similar to your existing customers. Lookalike as a targeting strategy tends to beat any other targeting option on Facebook and in 95% of cases, it is the best way to target people. With a full funnel strategy, Facebook & Instagram ads can help you create demand, drive consideration and close deals thus driving real results for your business. Track and measure your campaigns as you go and use your learnings to optimise your strategy. Facebook’s new Attribution tool makes it easier than ever to stay focused on what really matters for your business - generating more sales. Facebook Attribution pulls together the conversion performance of your ads on Facebook’s family of apps, as well as across different platforms such as Google Ads, LinkedIn and Twitter. This allows you to monitor all of your conversions across multiple channels and get insight into what channels generate sales. 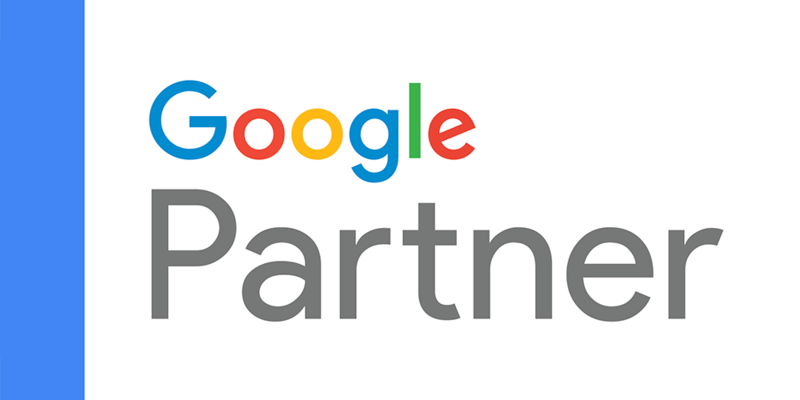 Read our blog on Facebook Attribution for more information on how to get started. 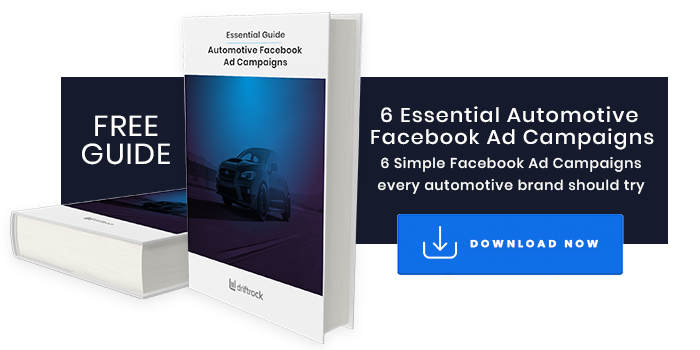 For some inspiration on pro tips for your next Facebook marketing campaign, download our free guide to the 6 Essential Facebook Ad Campaigns every automotive brand should try.